Valid for 48 consecutive hours starting from the time you activate your pass with our app. 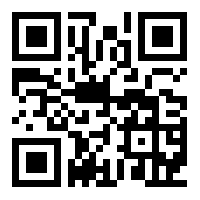 You have 12 months to activate your pass with our app after purchase. 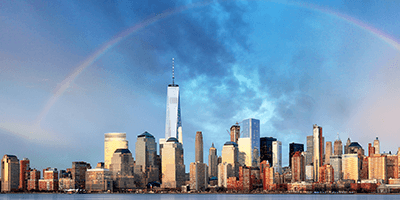 Don’t miss a thing on your next visit to the Big Apple. 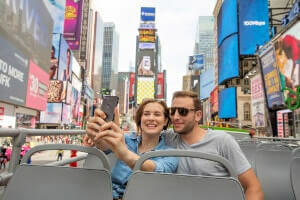 The Attraction Pass™ 2 Days includes 10 tours and attractions and gives you the opportunity to see all the special sights that New York City has to offer. 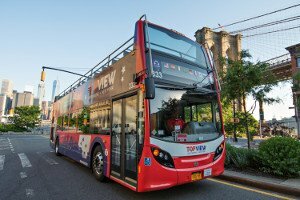 This pass includes two Hop-On Hop-Off bus tours of both Downtown and the Harlem & Uptown areas on NYC. 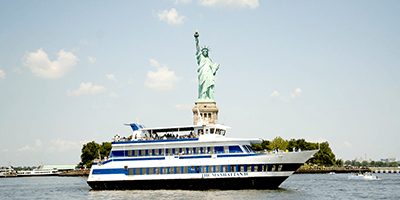 Not only will you see the impressive Empire State Building, Times Square, and Flatiron Building, you can also get off at Stop 13 to catch the included Statue of Liberty cruise. 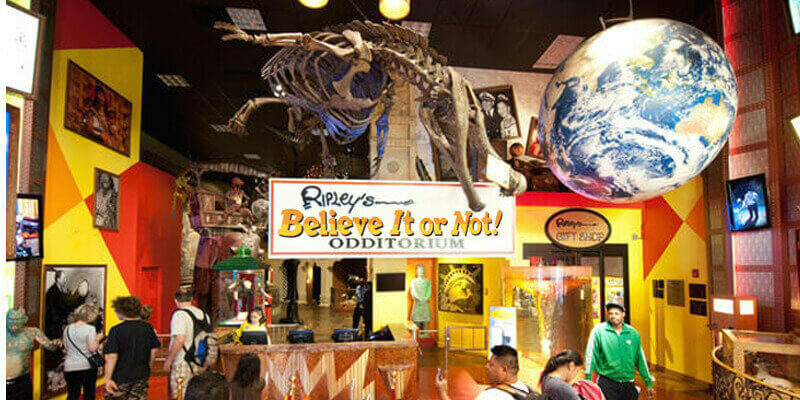 When you return to Midtown, you can visit Ripley’s Believe It or Not to engage in some fun activities. 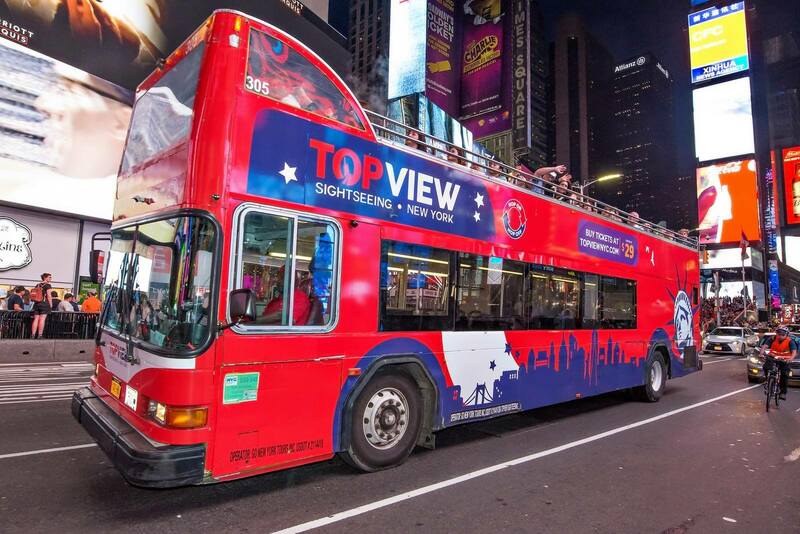 In the evening, see the stunning views of NYC lit up at night on the Night Tour. 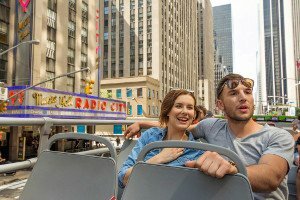 On day 2, you might want to bike leisurely through Central Park with the included 4-hour bike rental or enjoy the Brooklyn and Bronx tours to delve deeper into NYC culture. 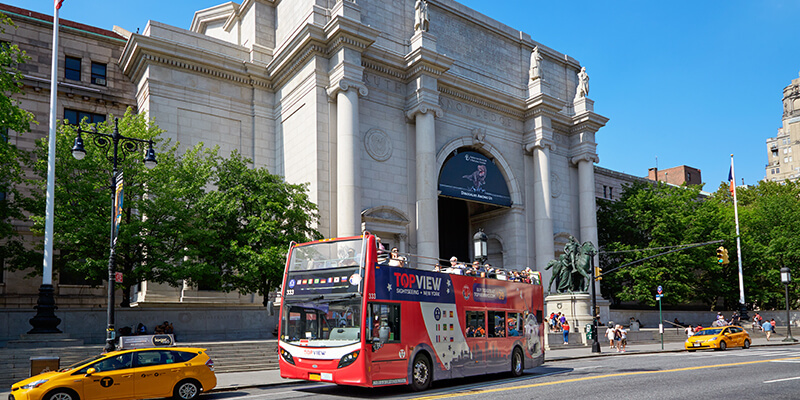 Dedicated history and culture enthusiasts can enjoy a visit to the American Museum of Natural History and the Museum of the City of New York - all included with this 2-Day Attraction Pass™! 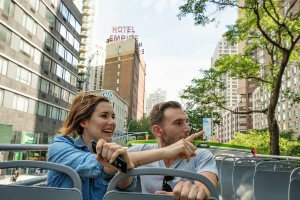 Our convenient Downtown Tour allows you to experience all of your “must see” New York landmarks. 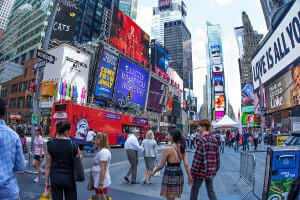 The tour begins under the glittering lights of Times Square and proceeds to take you past iconic structures like Rockefeller Center, the Empire State Building, Radio City Music Hall, and the impressive One World Trade Center. 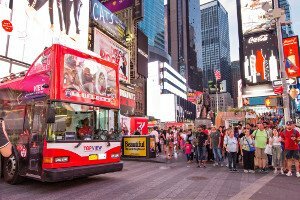 On your journey, you’ll pass through areas with rich history and cultural significance, including Little Italy, Chinatown, and the bustling Financial District. 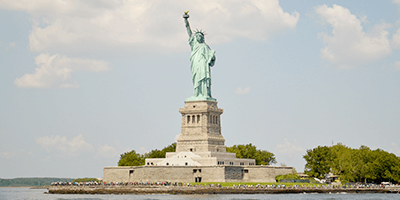 This tour will also take you past Manhattan’s southern harbor, where Lady Liberty can be spotted across the waterway. 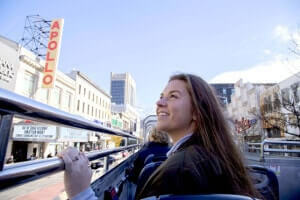 It’s easy to see all of the city’s most exceptional attractions with our convenient hop-on hop-off Downtown Tour. 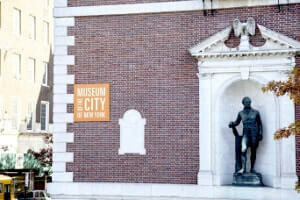 Venture into Uptown by taking a trip on our fascinating and educational Uptown & Harlem Tour. Your journey begins in Central Park, a charming natural landscape located in the middle of bustling New York City. From there, you’ll venture north to Harlem, an enthralling borough that played a vital role in the modern African-American cultural movement. Along with ethnically authentic art and cuisine, this storied neighborhood features some of the city’s most significant museums. 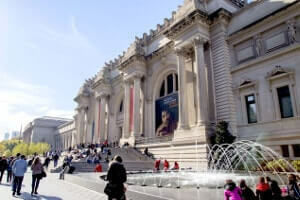 Known as “Museum Mile,” the stretch of streets between 82nd Street and 105th Street is home to a group of diverse museums which collectively form one of the world’s most concentrated collections of significant historical artifacts. Seeing Lady Liberty up close is an essential American experience. Don’t leave New York City without taking to the water and viewing the Statue of Liberty from a truly breathtaking location. 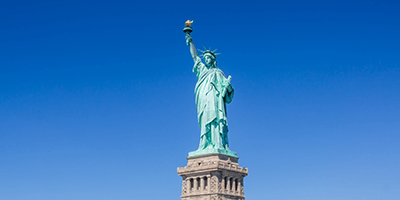 In addition to this important symbol of nation’s freedom, the Statue of Liberty Cruise allows you to sail iconic waterways and go sightseeing in a truly unique manner. 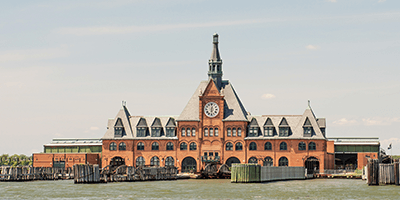 You’ll enjoy unobstructed views of many landmarks on your “must see” list, including Governors Island, Ellis Island, the Brooklyn Bridge, and the Manhattan Bridge. Not to mention, the glorious city skyline will make for an unforgettable photo-op. 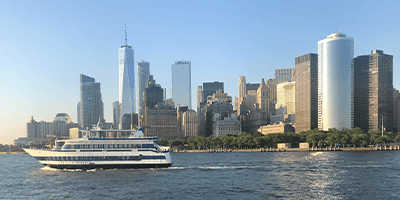 After departure from the World Financial Terminal, you’ll be able to sit back and enjoy entertaining commentary from our trained tour guide as you enjoy the beauty of New York City like never before. Home to thousands of buildings and millions of lights, New York City comes alive after the sun goes down. 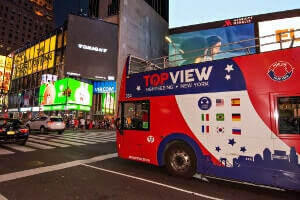 See the “city that never sleeps” the way it was meant to be seen by joining us on our Night Tour, which will provide you with plenty of unforgettable memories. 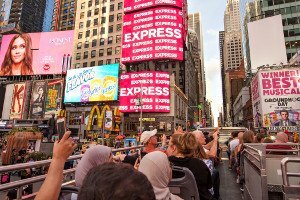 Our tour departs under the gorgeous glow of Times Square. 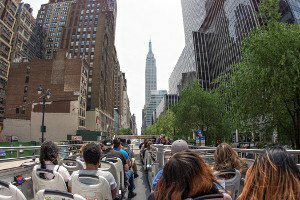 Before our tour makes its way across the river to Brooklyn, it will take you past illuminated buildings like the Empire State Building, the Chrysler building, the United Nations, and Grand Central Terminal. 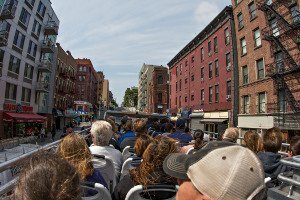 You’ll also travel through exciting areas like Greenwich Village, Chinatown, and Little Italy. 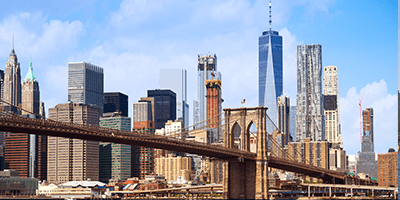 On your way across the water, you’ll be able to spot the beautiful architecture of the Brooklyn Bridge as well as the awe-inspiring Manhattan skyline aglow in the cool night air. 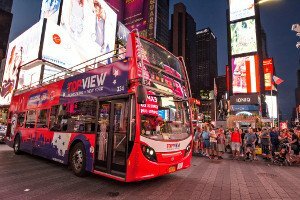 When the bus tour returns to Times Square, you’ll be able to impress friends and family members with incredible photos of New York City at night. Just across the river from Manhattan lies one of the hippest and culturally diverse areas in New York City. 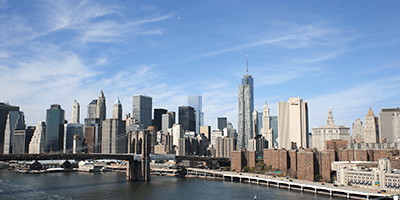 Brooklyn has been growing in popularity amongst tourists and locals alike. Venture outside of downtown and take the incredible architecture, parks, and landmarks present within this trendy borough. 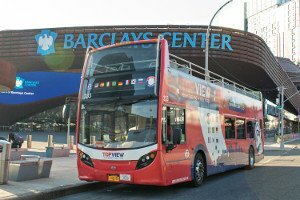 On our Brooklyn Tour, you’ll be able to experience breathtaking views of the Barclays Center. Elegant greenspaces like Prospect Park, Brooklyn Bridge Park, and Grand Army Plaza are sure to make for unique photo ops. 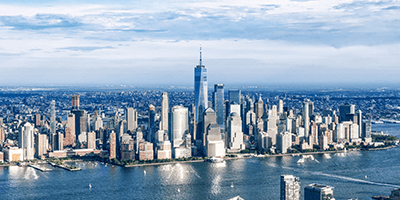 As you cross the harbor, you’ll also be treated to sweeping panoramic views of the magnificent Brooklyn Bridge and the expansive Manhattan skyline. 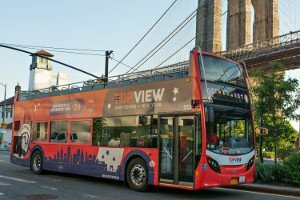 See all of the great places New York City has to offer by venturing across the bridge on our Brooklyn Tour. A trip to New York City shouldn’t just include a visit to Manhattan. 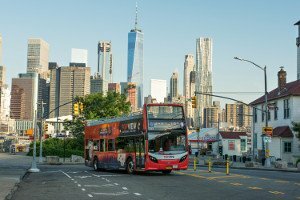 Venture outside of the Big Apple’s downtown area to experience the city’s other beautiful and authentic boroughs. 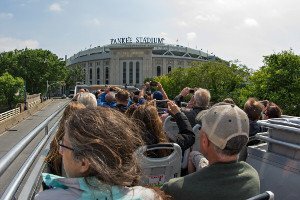 Head north on our Bronx Tour to take in all of the amazing sights and landmarks that call this part of the city “home.” After a ride through Harlem and Midtown - which are culturally significant areas in their own right - you’ll be treated to a thorough tour of the Bronx. For sports fans, this will be an especially exciting part of your visit to New York. 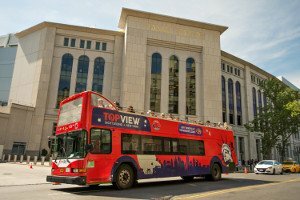 Our tour will take you past Yankee Stadium, which is hallowed ground to anyone who appreciates baseball’s storied past. A location that has housed some of the MLB’s most incredible athletes, feast your eyes on this lavish stadium while you appreciate the nostalgic history of this American pastime. Experience all of Central Park’s magnificent landmarks and structures by taking a lovely bike ride through the beautiful greenspace. 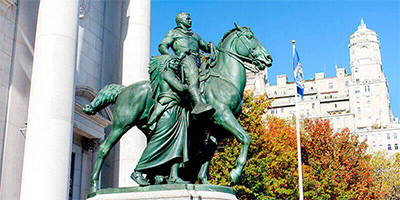 This iconic New York landmark is full of charming statues, buildings, and features. A 4-hour bicycle rental ensures you have plenty of time to visit any areas that happen to catch your eye. 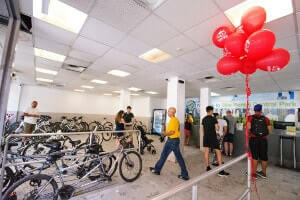 Enjoy fresh air, exercise, and create your own itinerary as you ride our well-maintained bikes through the city’s beautiful natural landscape. 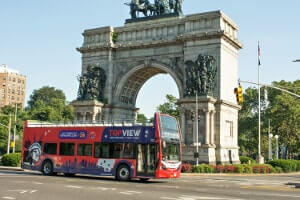 Bethesda Fountain, the Loeb Boathouse, the Mall, Strawberry Fields, the Central Park Zoo, and many more attractions await you within the 1.3 miles of park space. No matter if you want to get active or just enjoy a relaxing afternoon of sightseeing, our 4-Hour Bike Rental lets you go at your own pace. 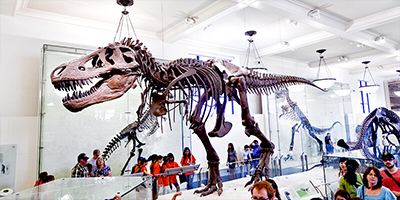 Spanning four city blocks and occupying over 550,000 square feet, the American Museum of Natural History, or AMNH, ranks among the largest museums in the world. 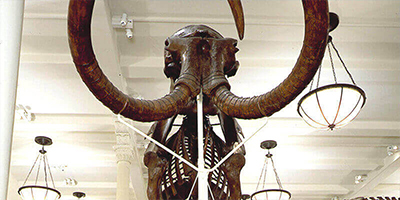 Each year roughly 5 million visitors come explore the museum's astronomical collection of more than 32 million artifacts and displays - ranging from plants and animals to fossils, rocks, minerals, human remains, and more. Visitors can easily navigate through the museum's 45 exhibition halls using an interactive app for electronic devices. Take a step back in time and explore all 45 halls and the Rose Center for Earth and Space. 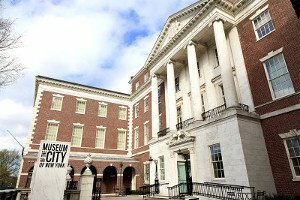 For a fascinating, educational experience that is sure to make you further appreciate the history, culture, and architecture of New York City, you can’t miss out on a visit to the Museum of the City of New York. 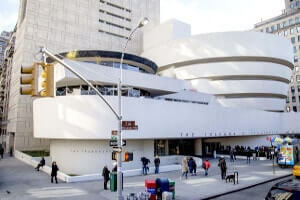 Located on 5th avenue on what is commonly referred to as the city’s “Museum Mile,” this hidden gem will certainly enrich your visit to the Big Apple. 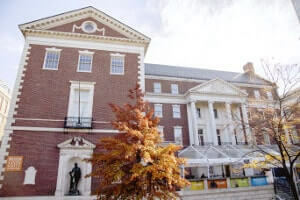 Within the grand, historic building, this nonprofit features an expansive collection of exhibitions, photographs, and memorabilia that gives insight into the unique culture of this celebrated city. As you wander the hallways and visit the galleries, you’ll find fascinating displays that feature historic items, important works of art, and other culturally significant artifacts. 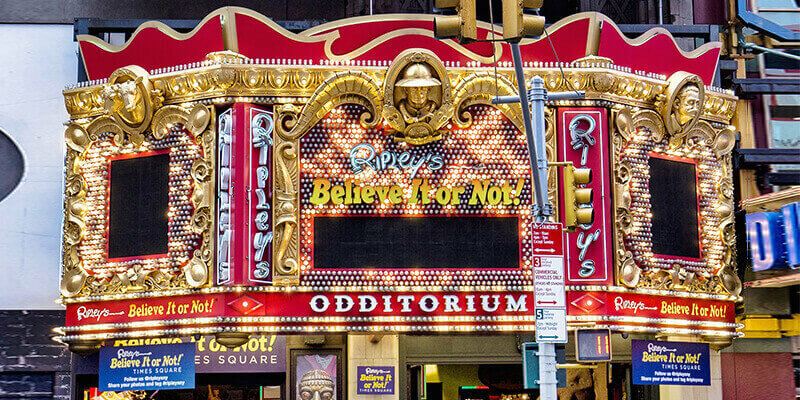 After admiring the lights and buildings that comprise bustling Times Square, head over to Ripley’s, which is conveniently located just steps away. 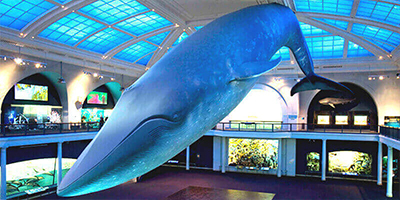 This family-friendly museum is sure to captivate and fascinate even the pickiest kids. 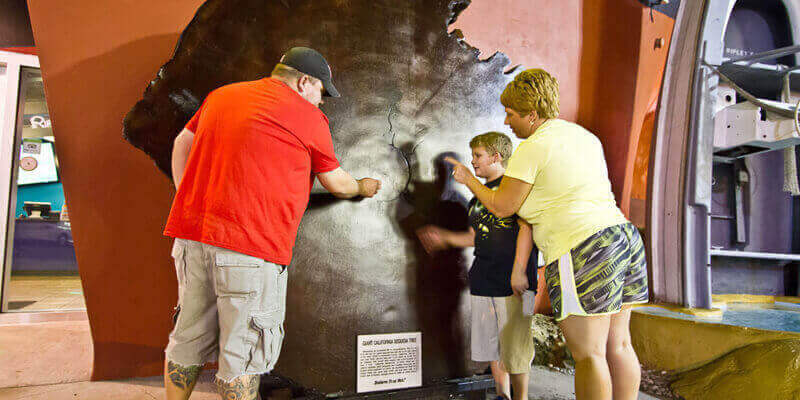 Within its walls, you’ll find 18,000 square feet of space filled with authentic replicas, incredible memorabilia, genuine movie props, and record-breaking recreations that are sure to astound and awe visitors of all ages. 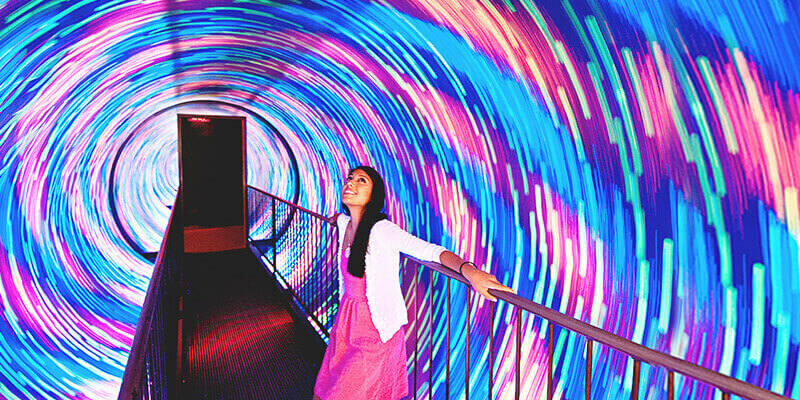 An interactive black tunnel full of spinning lights, for example, is sure to confound your senses. For even more enjoyment, try out the kid-appropriate Escape Room, which is conveniently located onsite. Your visit to the Ripley's Believe it or Not! odditorium is sure to result in tons of unforgettable family memories.